The Rotary Foundation transforms donations into service projects that change lives both close to home and around the world. During the past 100 years, the Foundation has spent $3 billion on life-changing, sustainable projects. The mission of The Rotary Foundation is to enable Rotarians to advance world understanding, goodwill, and peace through the improvement of health, the support of education, and the alleviation of poverty. Your donation makes a difference to those who need our help most. More than 90 percent of donations go directly to supporting service projects around the world, carried out by 35,000 Rotary clubs. Through donations to the Rotary Foundation, we’ve wiped out 99.9 percent of all polio cases in the world. The Paul Harris Society recognizes members and friends of the Rotary Foundation who contribute $1000 annually to the Annual Fund, PolioPlus or approved global grants. To learn more about the Paul Harris Society, click here. Pictured here is Parksville AM Rotarian, Bashir El-Khalafawi (seated second from left), currently District 5020 Paul Harris Society Chair. Bashir visits clubs throughout the District to talk about the importance of the Paul Harris Society and how we can support the Rotary Foundation. 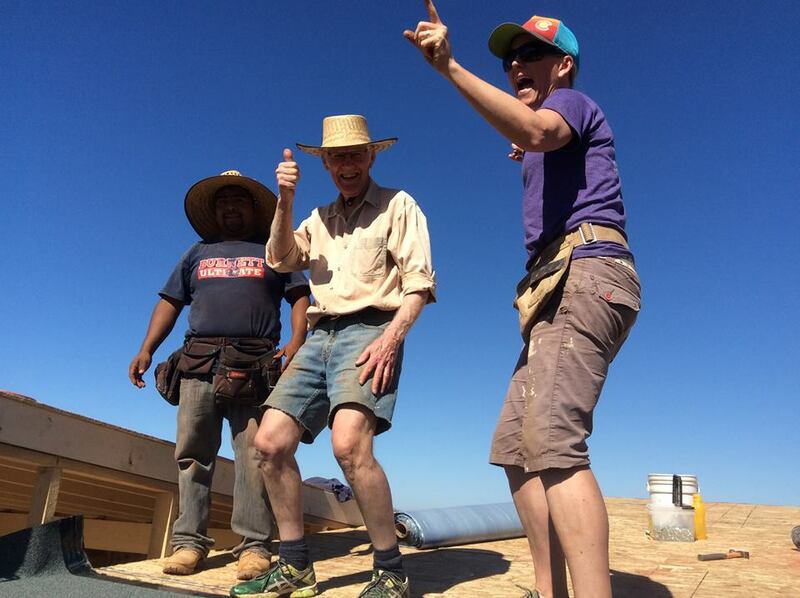 Rotarians have been on the job site in Mexico for the past four years! See Rotarians "Up Their Game" in Mexico. 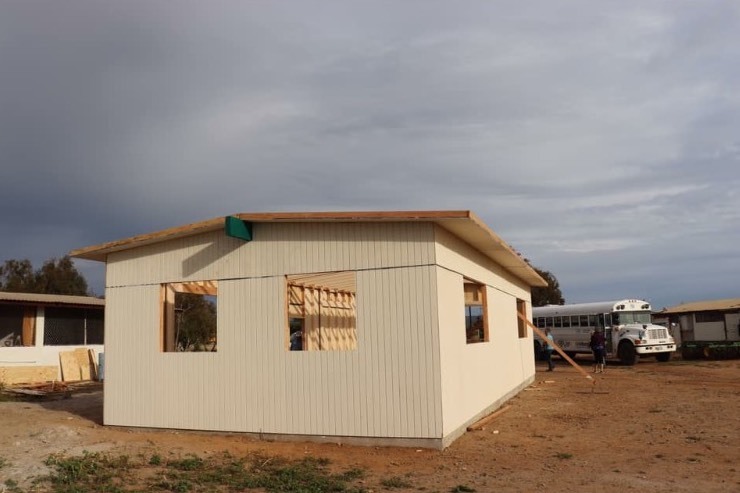 For more photos and a daily account of how a "small but mighty" group of Rotarians and friends built an adult education centre in just 8 days, click here. And be sure to read about the International Award received by the Rotary Club of Parksville AM for their ongoing work in Mexico. Projects from other parts of the world include the building of a corn mill in Sunyani, Ghana. While Rotarians are often known and recognized for their work on Rotary projects, many of our members work locally over and above their Rotary activities. 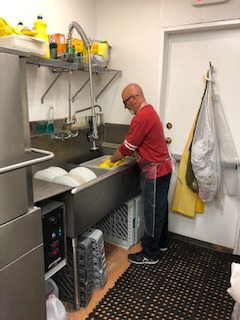 Click here for a listing of only some of the numerous organizations that members of the Rotary Club of Parksville AM have devoted hours of volunteer time to support. Need something done in the community - involve a Rotarian! Fundraising is an important activity for all Rotary clubs, as it takes money to be able to carry out humanitarian projects in our local communities and throughout the world. 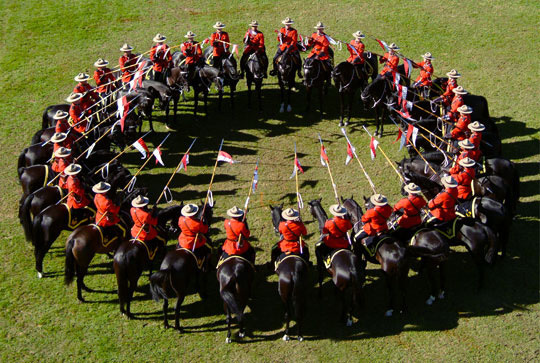 The most recent fundraising project of the Rotary Club of Parksville AM was the RCMP Musical Ride. Not only did this spectacular event raise funds for local and international Rotary projects, it also provided an opportunity for the public to experience the heritage and traditions of the RCMP. In sponsoring this event, the Club enjoyed the support of a number of organizations and businesses, and we would like to express our sincere thanks here. The Club was also pleased to recognize the Vancouver Island Compassion Dogs who handled parking at the event, and Buckerfields which donated all the feed for the horses. Click here for full story. Rotary Club of Parksville A.M. is a service club of community leaders who work within the local and world community to make a difference. 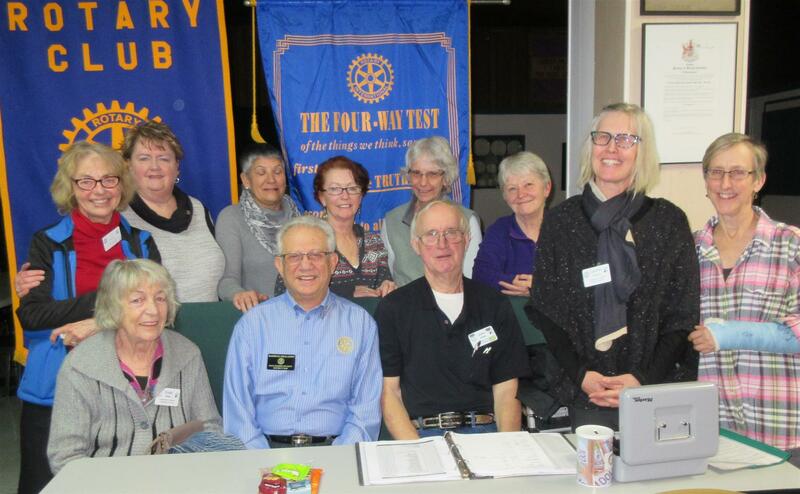 Rotary Club of Parksville A.M. provides service to our community and advances world understanding by building on the strengths of our members. Today has had some intense challenges. There were some injuries, loss of pets and we parted ways with a beloved team member due to personal reasons back home. They will be missed very much ❤️ Sending hugs and good thoughts to them. Thankfully everyone is safe and okay. Despite the downfalls of the day we pulled through and worked together to finish what we started. We got the walls up! It was a big job that required the help of everyone on our team. We also got a fair bit of painting done, the beam up and eight wall panels as well! Today we painted 8 roof panels and frames and finished the side walls. We also built the two end walls! One of which was built by our Ballenas Interact students with the guidance of Ray. He was a huge help and we all learned a lot from him. Katie and I learned how to use a chop saw and cut the studs to length for the wall. Devin, David, John and Aahren and the rest of us nailed the frame together, then secured the sheeting after making sure it was properly aligned. After they were nailed down we teamed up to paint the wall. 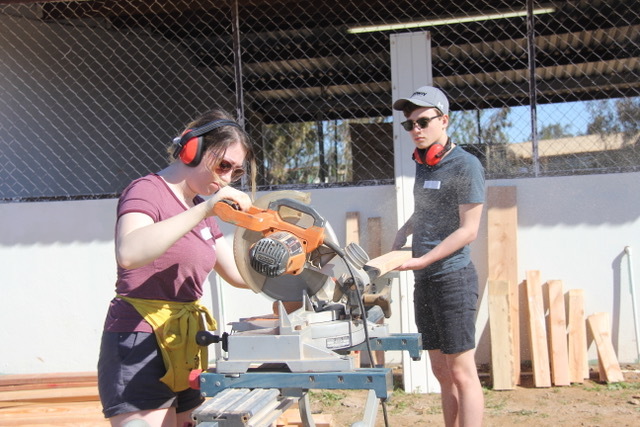 Aahren and Devin also got the chance to use a skilsaw! Many exciting new experiences and skills. Such great work from our Interact students today! Everyone worked so hard today and we are very excited to the get the walls up tomorrow! Rotary Team Mexico 2019 is making their way (with a few bumps along the way) to Vicente Guerrero, Mexico. The team is thrilled to have a youth contingent this year. This year's project will see the construction of a high school classroom. Stay tuned for more updates! Yesterday, we were unable to cross the border but made the best of our situation and stayed the night in San Diego. 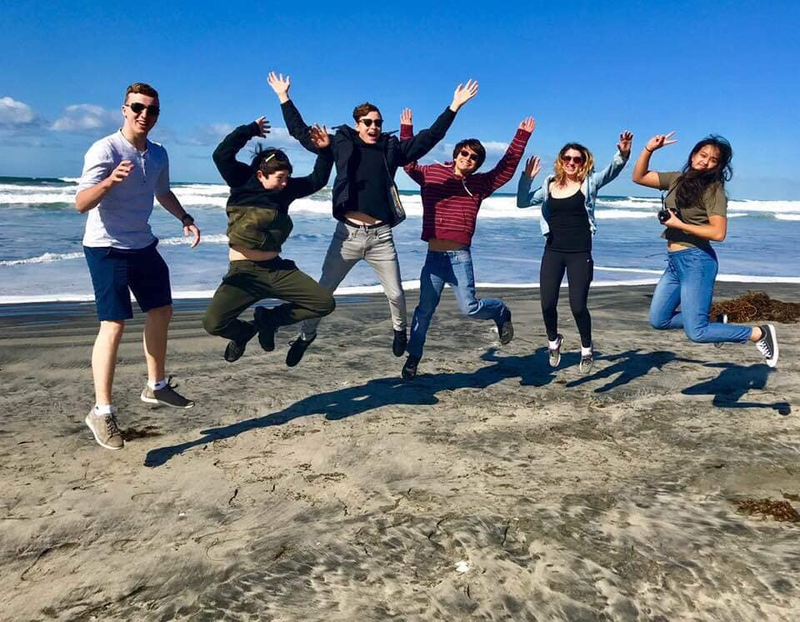 This morning we crossed the border to Tijuana, spent the day on the Live Different bus, with a nice stop at the beach, and made it to our base! Everyone is looking forward to starting the build bright and early tomorrow morning. 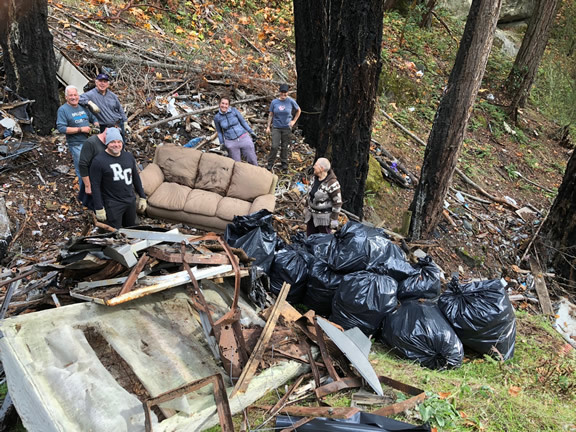 The Rotary Club of Parksville AM has decided it is time to take out the trash on Little Mountain. Over the years, the base of this beautiful pristine area of Parksville has become a dumping ground, either because the dumpers didn’t want to pay for proper disposal of their garbage or because they thought it would be exciting to throw something large over a 100 foot cliff. Funding to help offset some of the costs of this clean-up comes from an unusual source. Back in 2010, Oscar-winner Adrien Brody starred in a movie about a man who awakens in a wrecked car in the forest at the bottom of a steep ravine with no memory of who he is or how he got there. The movie was “Wrecked” and the filming location was the base of Little Mountain. However, all was not untouched on this apparently ideal film location, as the crew discovered a mountain of trash that had been tossed from the top and had been accumulating for years, resulting in a vast disgusting mess covering the entire base of Little Mountain. The film crew shot around the trash, but before leaving, they donated their coffee fund money, in the amount of $750, to help with future clean-up. 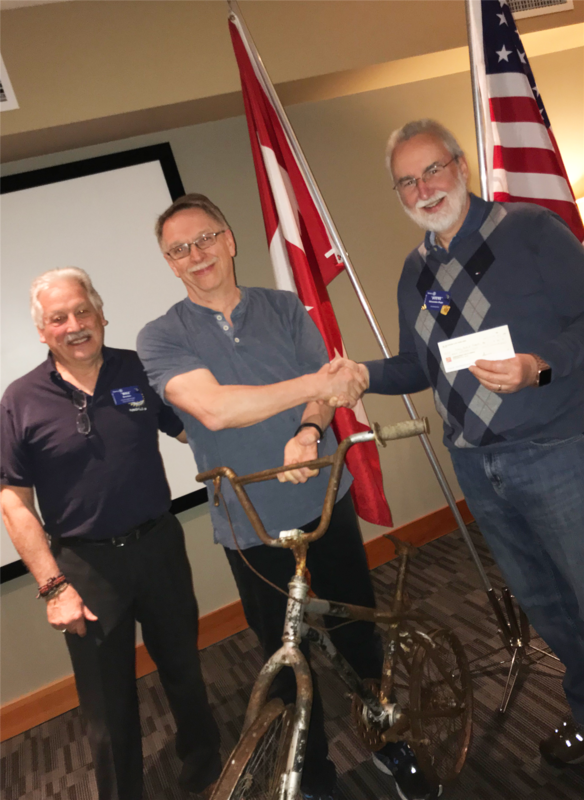 Photo below shows Little Mountain resident, Jeff Grognet presenting a cheque in the amount of $750 to Parksville AM Rotary President, Bill Rawlins and Treasurer, Steve Alexander-Pope. 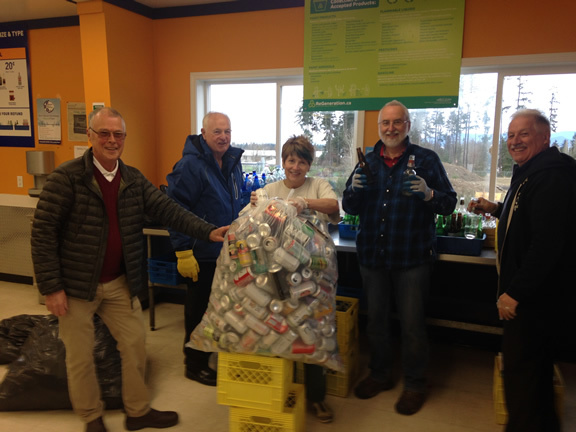 The Rotary Recyclers have delivered their last load of 2018 to the Parksville Bottle & Recycling Depot, capping off a successful fundraising year. Since the inception of this project in 2016, over $16,000 has been raised for Rotary projects, an accomplishment requiring a few hours per week by a team of very dedicated Rotarians. The Rotary Club of Parksville AM also acknowledges, with gratitude, the generosity of The Beach Club and its Manager, Arthur Wong for allowing the Club to take on this activity and retain the profits for the benefit of Rotary projects. 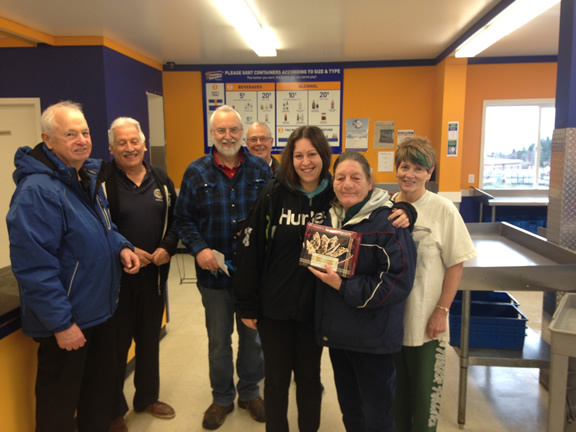 The Rotary Recyclers also recognize the invaluable support received by the staff at the Parksville Bottle and Recycling Depot. Each week, we are met by their friendly smiles and willing guidance. Recycling is not as easy as it once was. Every week, it seems that new types of bottles appear and, with all the emerging craft distilleries and breweries, it is sometimes hard to distinguish wine from beer bottles or pop cans from coolers. The Depot staff are exceedingly patient and always constructive in correcting our mistakes. Our thanks to Toni and Katie (shown below), and to all the Depot staff for their ongoing support. The Rotary Recycling project is a significant initiative on many levels. Recycling is important because it makes the environment a cleaner place, conserves materials, saves energy, and reduces the amount of garbage in landfills. And when the money raised through recycling is put to projects that make our community and our world a better place, then you have a "win-win" all around! The Rotary Recyclers will resume their weekly sorting sessions at The Beach Club on January 2 at 8:30 am. Anyone interested in supporting this ongoing fundraiser is welcome to join in the fun! Parksville AM Rotarians and Lions have raised $100,000 for the Parksville Splash Park. Visit the Parksville Splash Park website and see PQB News story. 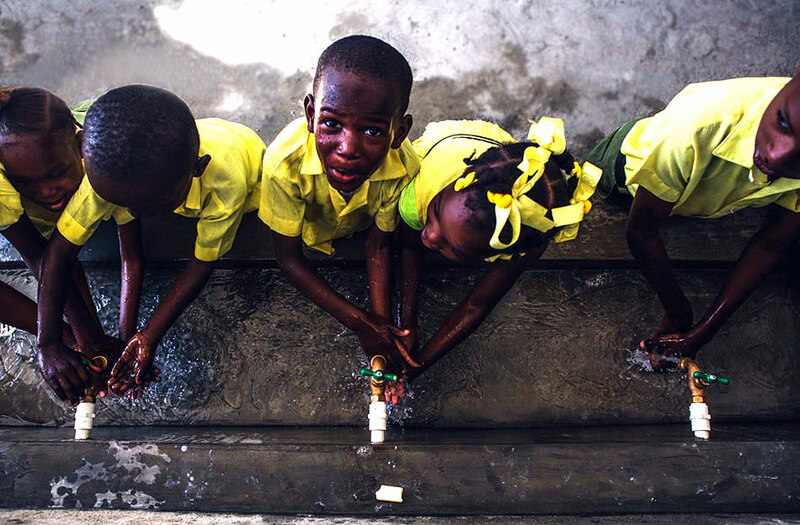 Children at Live Different school in Cap Haitien, Haiti turn on the taps for the first time in their lives ... a cistern below the school kitchen was funded by Parksville AM Rotary. 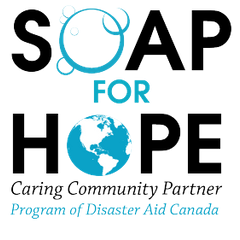 The Rotary Club of Parksville AM works with The Beach Club Resort, a generous donor of supplies of soaps, shampoos and bedding which are then delivered by Club members to Disaster Aid Canada in Victoria. These much needed products are distributed to victims of disaster at home and abroad. Rotary is made up of ordinary people doing extraordinary things, at home and across the globe.